I recently took a road trip from Boston to LA, and I made sure to stop in Kentucky to visit one of the bourbon trail distilleries. 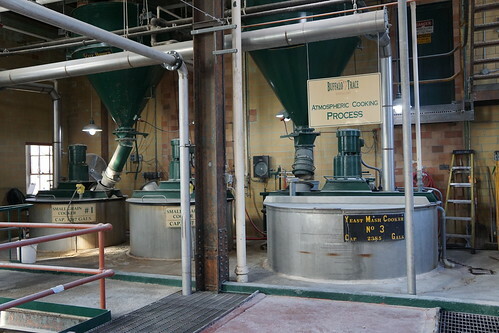 A friend of mine recommended a tour of Buffalo Trace Distillery - specifically, the hard hat tour. The hard hat tour is a special tour because it takes you behind the scenes of every step of the production at Buffalo Trace distillery. 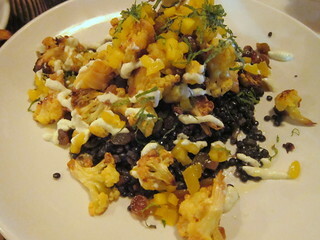 We started from where the trucks bring in the grains to the cooking process and the fermentation. Now, I've visited a number of distilleries in the past, but Buffalo Trace was a new experience to me because of the scale of it all. 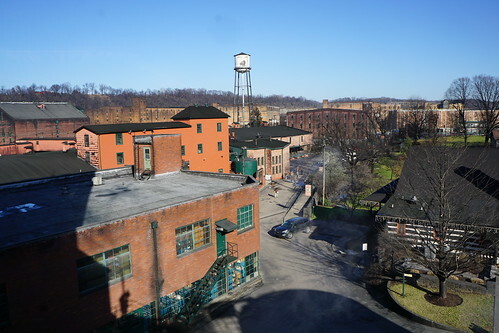 The distillery, which is owned by Sazerac, doesn't just produce whisky for the brand Buffalo Trace but a total of 12 different brands. They make 2.6 million gallons of whiskey each year! Bourbon is always a good intro to whiskey drinking, thanks to its sweeter flavor profile. I recently tasted Brown Sugar Bourbon from Heritage Distilling, a distillery in Gig-Harbor, Washington. 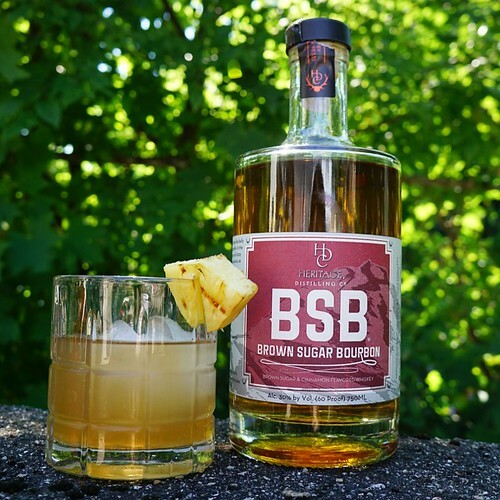 The Brown Sugar Bourbon, or BSB, is an award-winning spirit in the Flavored Whiskey category, having received the gold medal from American Distilling Institute and World Whiskies Awards. The whiskey is a corn, rye, and malted barley mash aged for less than 2 years in new American oak barrels. 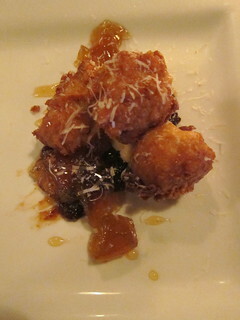 After aging, natural brown sugar and cinnamon flavors are added. It's rich and sweet on the palate, naturally with plenty of cinnamon flavors. I imagine drinking this neat by the fireplace in the winter. Or on the rocks by a campfire, either way. This flavored whiskey had enough going for itself that you really don't need to mix this with anything, but just enjoy it on the rocks. It's easy enough drinking on its own! I got this around July 4, though, and I had a BBQ with friends in my "backyard" (it's basically a parking lot but whatever). I decided to make a cocktail for my friends using a grilled ingredient! What did you do the day after Christmas? I went to a whiskey tasting and watched horse races at Santa Anita Park! 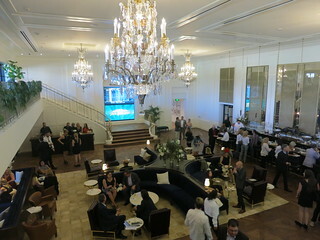 Santa Anita Park held a Whiskey in Winter event in their beautiful chandelier room, coinciding with their opening day races. 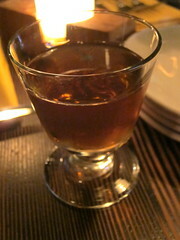 Attendees tried half a dozen whiskeys and cocktails around the room and voted for their favorite. The favorite winner will get the cocktail featured at the bar here. I was in a dilemma because my favorite whiskey and my favorite cocktail of the day was different, but since they're featuring the cocktail, I voted for that one. 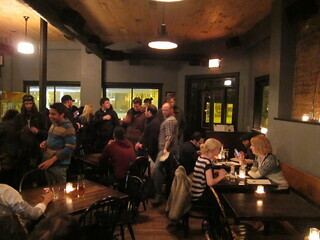 The whiskey we tasted that day included: Breakers Bourbon, Calumet, Koval, Lexington, Whippersnappers and Whistle Pig. The winner might surprise you! 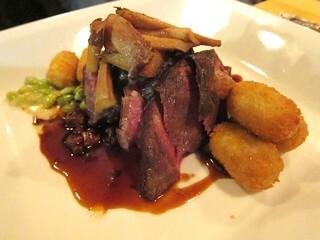 You may not have even heard of it, since it's a newcomer from Buellton. Yep, that's near Santa Barbara. 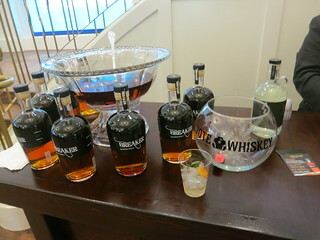 Ascendant Spirits is Santa Barbara's first distillery and their Breakers Bourbon is worth a taste! 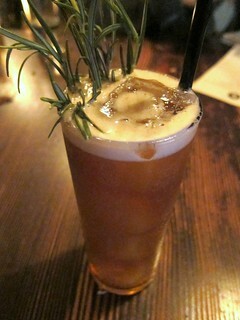 The cocktail was called "Sure Bet", created by Jeremy Lake (Crossroads).